The last issue of Saveur Magazine, the best-est ever food magazine, and the only one I subscribe to, has an article on Ethiopian food. 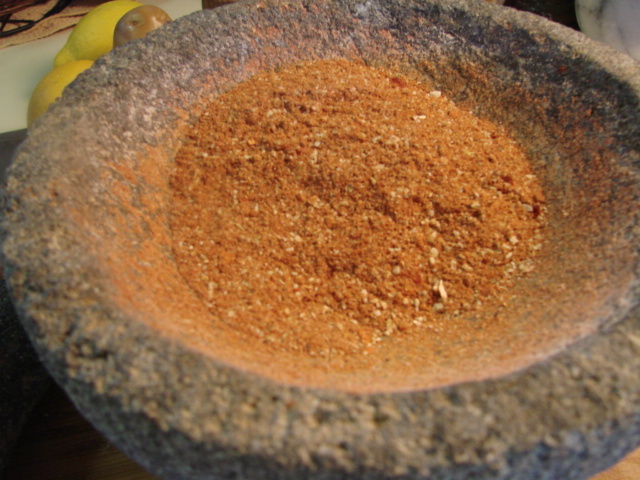 In the article is this recipe for the spice blend Berbere, a staple in Ethiopia. First the whole seeds get toasted. I have one of those cute little one egg size skillets. Add dried onion flakes and grind away. 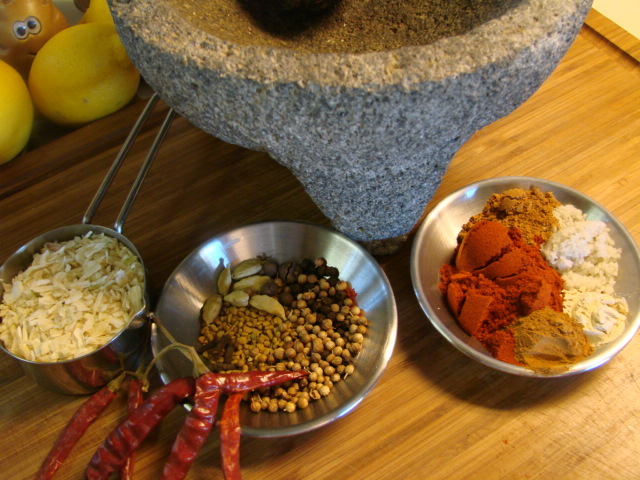 Recipe for Berbere. I made the Ethiopian spicy chicken stew Doro Wot with this. I'll post that also. 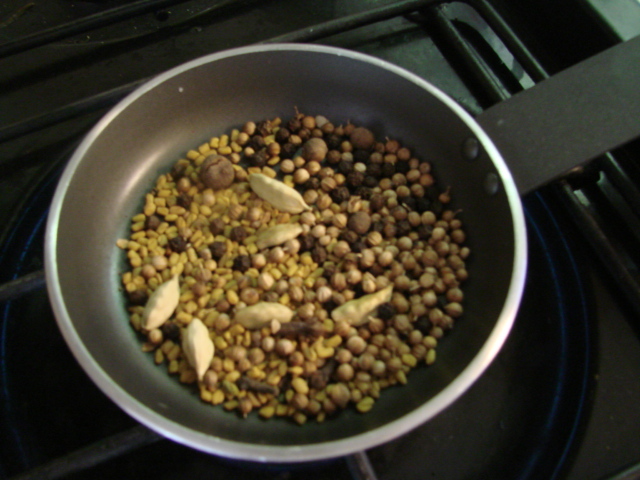 In a small skillet combine the coriander seeds, fenugreek seeds, peppercorns, allspice, cardamom pods and the cloves. Swirl skillet constantly until fragrant, about 4 minutes. 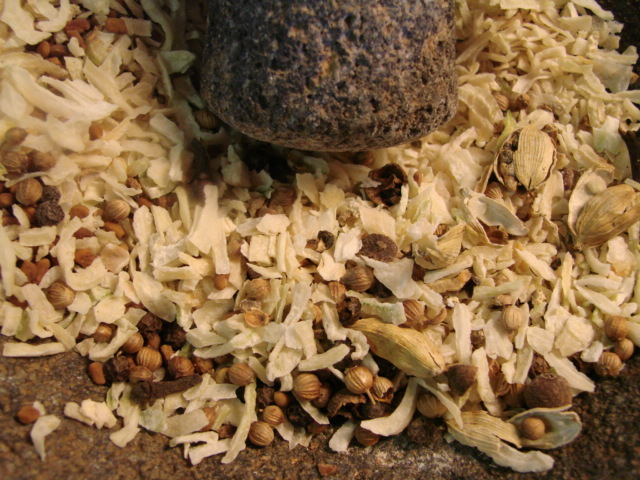 Let cool slightly; transfer to a spice grinder along with the dried onion flakes and grind until fine. 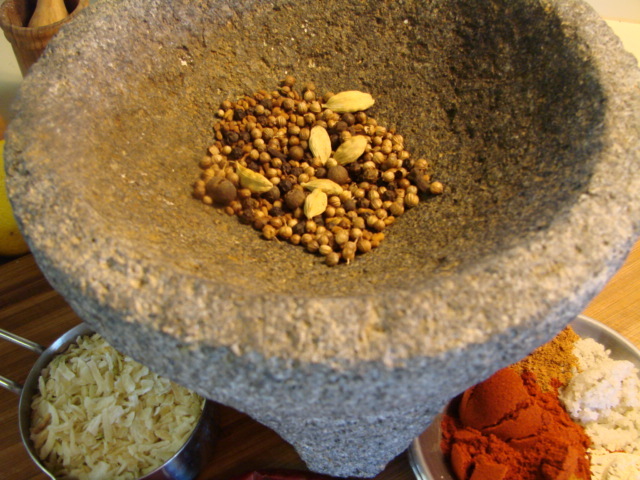 Add the chiles de arbol and grind with the other spices until fine. 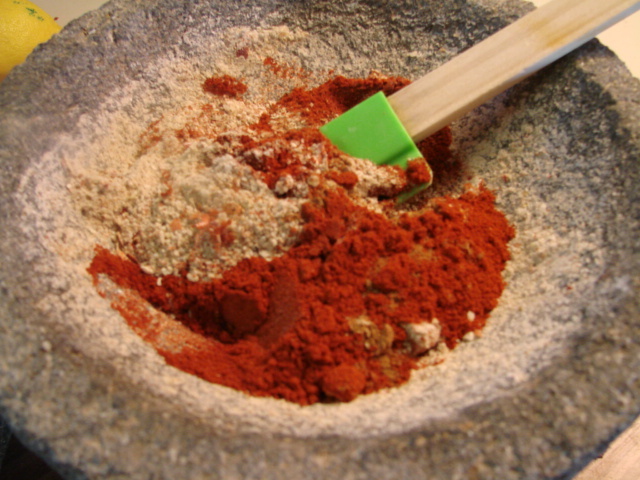 Transfer the mixture to a bowl and stir in the rest of the spices.